Home Blog June 2018 What Will You Eat? As a missionary, you cannot afford to pass up the promises in the Word of Wisdom. Foreign call or domestic, one question is sure to come up: “What will you eat while on your mission?” There may be excitement over southern BBQ, or terror at the unknown dishes ahead on a far-flung island. Every mission is unique, and missionaries should be prepared to feed themselves as much as possible with the cuisine of the area. Cheap, healthful food, simply prepared, is a missionary’s best resource. Take time now to learn some basic cooking techniques. Boil potatoes, steam vegetables, soak and cook shelf-stable beans. Learn to prepare staple foods and you can adapt these basic techniques to resources available in your area. A basic spice ‘cabinet’ will makes all the difference with simple ingredients. Salt and pepper should be readily available in most areas. Garlic and onion are powerhouse flavors and can typically be found in several forms – powdered, granulated, diced, pickled, or fresh. Paprika, dried and powered mild red pepper, rounds out flavors of a dish. Dried or fresh herbs like parsley can add brightness to an otherwise bland dish. Add heat with your favorite hot sauce or a pinch of red chili flake. A taste of home can make a mission apartment more welcoming. Most families have a go-to seasoning, something so commonly used, it’s shocking to find out some people don’t use it. These are often spice blends, like Sazon Seasoning, seasoned salt, Mrs. Dash, garlic salt, lemon pepper, or Worchester sauce. Pay attention at home and learn how to use it. You can bring a taste of home with a sprinkle on scrambled eggs, plain rice, a bit of chicken, or a bowl of beans. Humble food is typically both affordable and nutritious, as long as you know how to prepare them. Dinners with members are not a standard across the church. They’re intended not to fill bellies, but to connect members and missionaries. 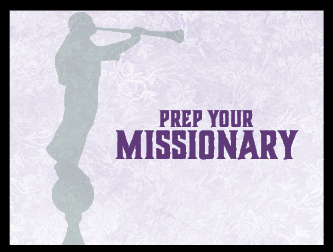 Dinners are meant to ensure members are aware of and working on their ward mission plan and to help bishops meet members’ needs. Some wards feed well, others not at all. In some countries, there will be no support of this kind and missionaries feed themselves. If you have received your call, reach out to others who have served there or who have lived there. Get an idea what to expect and what to avoid. If you haven’t yet received your call, taking time to learn basic techniques to prepare a meal for yourself no matter where you will serve will help determine what you will eat! Shopping for “modest” and “comfortable” swimwear amid the ocean of options can seem intimidating. Fortunately, the increased use of social media and online shopping have created more and more available options, depending on what type of swimsuit you seek. Family Home Evening is a good time to discover the compelling wisdom regarding sleep found in Doctrine and Covenants 88:124. I suggest reading that verse and the July 2015 article at lds.org titled “Filled with Life and Energy” by Randal A. Wright.